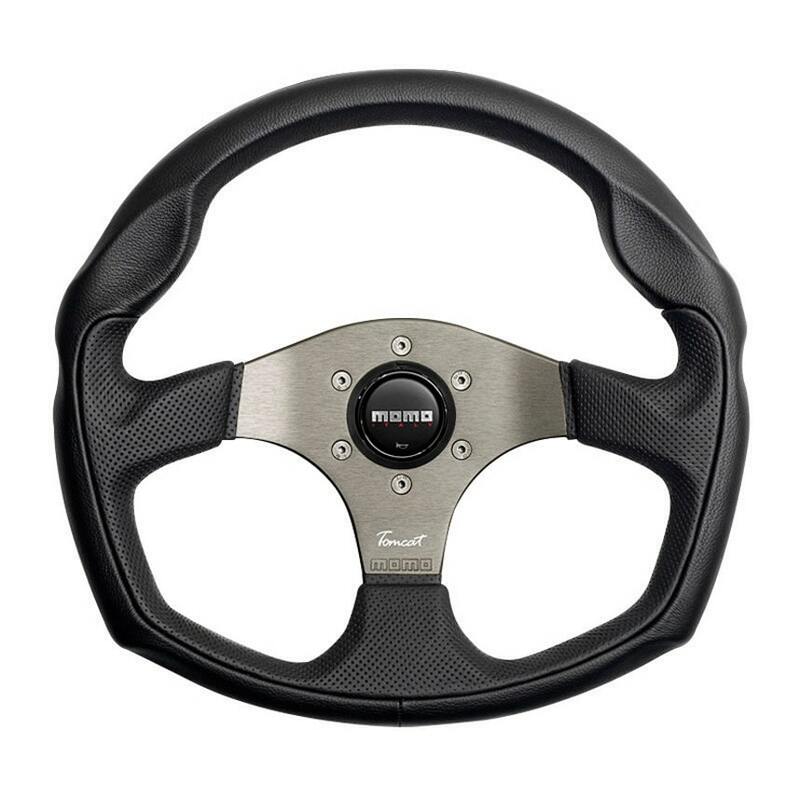 MOMO’s Tomcat is a black leather and alcantara 3 spoke flat dish steering wheel with satin detail rings. Gloss and matt black centre pad. Fits every standard Momo, OMP, Sparco etc type steering wheel boss kit. Please visit our “Steering Wheel Bosses” category for all stocked options.